"Another interpretation of the Mahabharatha?" 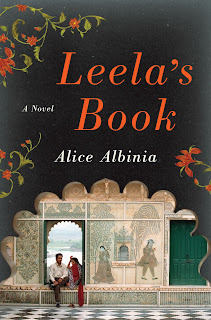 that was the first thought that crossed my mind when I heard about Alice Albinia's debut novel, Leela's Book. And what an interpretation it has turned out to be. The tongue in cheek tone does not take away from the underlying social complexities of this plot. For someone not indigenous, to understand Indian society and it's functioning so well is no easy task. 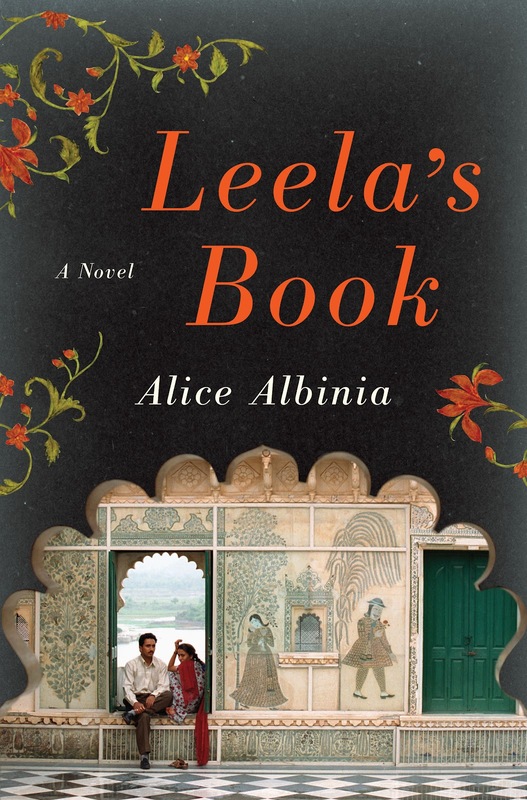 Yet Alice Albinia during her two year stay in India, managed to absorb these cultural and societal details and undertones and beautifully portray it in her novel. 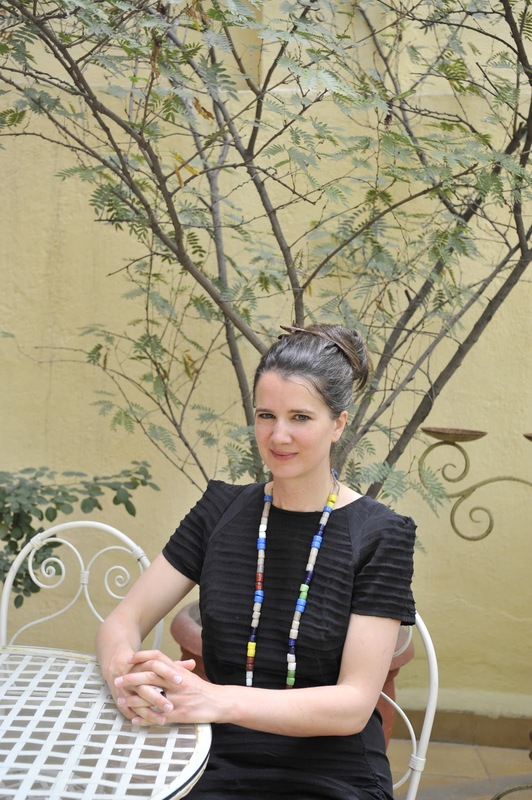 Alice Albinia, read English Literature at Cambridge University and South Asian history at SOAS. In between, she lived for two years, in Delhi, working as an editor and journalist with the Centre for Science and Environment, Biblio: A Review of Books,Outlook Traveller and various other Indian newspapers and magazines. During this time she had the idea to write two books: Empires of the Indus, and her first work of fiction, Leela's Book. Alice Albinia was kind enough to do an email interview with Suprose from her home in the UK. You write a lot about South Asia and India in particular, how did this relationship with India begin? What do you like most about this culture? It began when I was a little girl, looking at photographs my mother took in Afghanistan and India before I was born. When, as an adult, I moved to India to work, I fell in love the depth of historical culture. I also learned new things about the West. Moving to Delhi was a second education. What and who did you read growing up? Were you exposed to South Asian writing? I read a lot of different books as a child. When Peter Brook's Mahabharata came on television in the 1980s it was a big event and I remembered it years later, when I began writing Leela's Book. The first modern Indian novel in English I read must have been Vikram Seth's A Suitable Boy, which was published while I was doing my A-levels and was a dangerous distraction from revision. Your first book was non-fiction, Empires of the Indus and it won the Somerset Maugham Award, tell us about it. How did that come about? I had the idea to write Empires of the Indus while I was living in Delhi from 1999-2001. I had the idea to write Leela's Book then too. But for Empires of the Indus I needed to do a lot of historical research, so I moved back to London in 2002 to begin an MA in South Asian history. As soon as I graduated in October 2003, I bought a ticket to Karachi and began travelling through the Indus valley. This is your first work of fiction. Have you studied fiction writing, what helped you write such a great debut novel? I never studied fiction-writing in a formal way: I learned through practice. It was a steeper learning curve than writing non-fiction, which one tends to get the hang of through college-work, or journalism, or editing (all three in my case). I was inspired to write this book by an idea I had about the Mahabharata: one particular aspect that I wanted to explore, concerning the epic's scribe, the elephant-headed god Ganesh. I began to wonder how Ganesh felt about taking down the massive dictation of this text without authoring any of the words, and whether, perhaps, he had been secretly writing his own alternative version over the centuries... The novel grew from there. Among the plethora of mythological stories that come from India, why did you pick the Mahabharatha as the basis of this plot. What do you like most about that story? I wrote about the Mahabharata because, despite being a very ancient text, it is still alive in India. It is constantly being reinterpreted and replayed and rethought. I found that legacy intriguing. And it has a dominant meta-textual structure which I was drawn to. In my novel it is really the meta-text that I write about - how the epic came to be written down, who the author was, who the scribe. In my imagination, they really didn't like each other. It took a long time. I first had the idea to write it while I was living in Delhi. Then I began writing Empires of the Indus. So Leela's Book wasn't published until a decade later. What are some writing tools that help you through tough spots, like music, reading other favorites, gardening, others? There is a wonderful radio program on BBC Radio 3 called Late Junction. I listen to that at the end of the day when my work is done. It is such an eclectic mix of music from different places and ages and genres, curated by two women who have the rare quality of sounding erudite yet enthusiastic. In order to get down to work in the morning I find some exercise helps to clear the head. I cycle across town to an office I rent. What do you read for pleasure? What would one find on your "going to read" bedside pile? In bed I read the newspaper. On my desk are two novels David Mitchells' Black Swan Green and Aleksandar Hemon's Love & Obstacles, and a long travel book about Yugoslavia written by Rebecca West just before world war two, and some history books about Britain. Who are some favorite authors that motivate you? Which writers do you think have influenced your writing? Good writing is the best motivation and influence. I love encountering new writers and new ways of writing and I am always intrigued by the books that the people around me are reading. Last time I saw my editor she recommended The Orientalist by Tom Reiss, and What a Carve Up! by Jonathan Coe. I'm reading my third Coe novel now, The Terrible Privacy of Maxwell Sim. An architect friend of mine recently told me that Infinite Jest by David Foster Wallace is one of the most amazing books he has ever read, so maybe that will be next. Finally a book about where I grew up: about Britain. I am intrigued about the plot of the novel. To take something as well known as the Mahabharatha and getting the inspiration to derive a plot from that is quite clever. Writers never fail to amaze me. I am sure it will be especially delightful to go on this journey for those of us that have some knowledge of the mythological figures of the hindu pantheon. I'm curious as to how she has written about the Mahabharata.. Ganesha's side of the story - something never talked about. Looking forward to reading it. Congratulations Pavithra Giridharan, Sarah Helps and Raji Shankar, winners of this month's giveaway. You should be getting an email from Suprose soon.